Developed through funding from NSF ITEST award # 10-29724 and #12-47287.
solutions to problems. 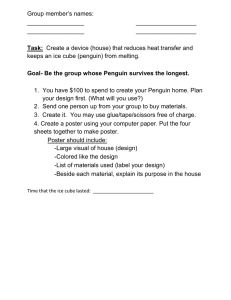 The students’ goal is to design and build a shelter for an ice cubeshaped penguin that reduces heat transfer and keeps the ice from melting. power plants and not contribute as much to global climate change. processes and model new skills to be learned. opportunities for students to challenge and internally modify their prior beliefs. that learners construct meaning through active engagement, not passive listening. relevant to the student and connected with their lives outside of the school setting. In design-based science activities, the teacher does not tell the students what to build. their own learning as they apply scientific concepts to engineering design problems. interest and deepens conceptual knowledge. students’ designing an energy efficient penguin dwelling. storyboard is on the wall for easy viewing. reduce the need for handling them. 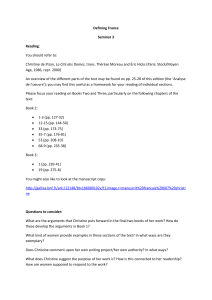 Benchmarks for Science Literacy, and Standards for Technological Literacy. that reduces the impacts of a weather-related hazard. meet the criteria and constraints of the problem. aspects of a model or prototype that can be improved. that may limit possible solutions. process such that an optimal design can be achieved. objects to cooler ones, until both reach the same temperature. 2. Light interacts with matter by absorption or reflection. from one form into another. form of energy being transformed into another. products of an energy transformation. of atoms or across space by radiation. in the transfer of heat. 6. Heat energy is the disorderly motion of molecules. to useful products and systems. There is no perfect design. performed in different sequences and repeated as needed. used to transform ideas into practical solutions. problems are best solved through experimentation. · Engineers follow a general process to design solutions to problems. · Heat transfers from areas of high temperatures to areas of lower temperature. Insulators slow down the rate of heat transfer. · Engineers must identify the problem in order to solve it. · Heat transfers in three different ways. · Engineers must research and understand the problem in order to solve it. · Materials affect the rate of heat transfer. · Different materials vary in their ability to reduce heat transfer. · Different materials prevent different types of heat transfer. scientific knowledge and creativity to design solutions to problems. · Engineering is an iterative process of designing, testing, re-designing, and retesting. 1. Heat transfers from areas of high temperatures to areas of lower temperature. 2. Insulators slow down heat transfer. 3. Engineers must identify the problem in order to solve it. engineering can play in helping both the environment and penguins. 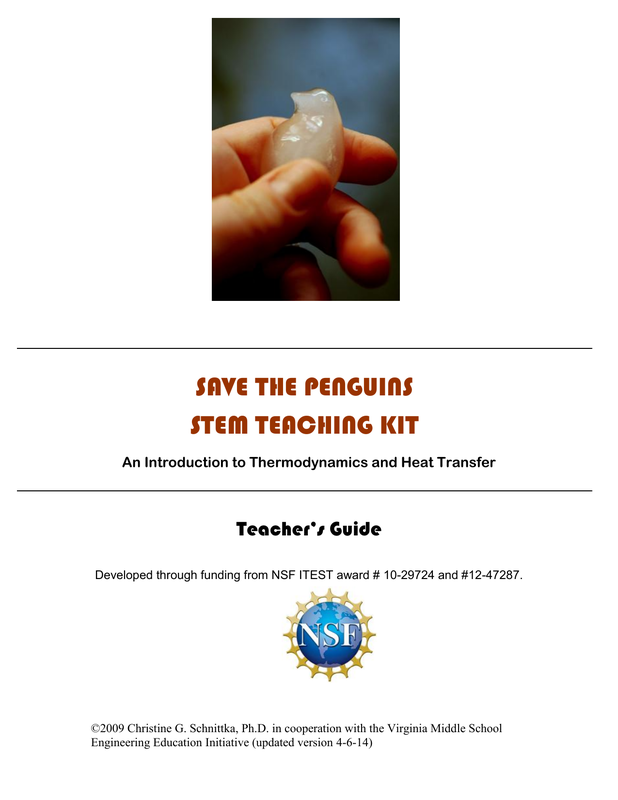 allow students to form an understanding of insulation, heat, and temperature. 3. Introduce students to storyboarding.  Explain how humans may be contributing to global climate change.  Define heat as the transfer of thermal energy.  Define temperature as an indication of how hot or cold it is in a particular location. thermal energy there is at a particular point. better than foil. Insulators reduce heat transfer. to the cooler person in the water. low average kinetic energy, “cold.” There are many scales used to measure temperature. flow of candy from a candy store to people who fill their pockets! Heat Insulator: A material that reduces the rate of heat transfer. Internet or see Appendix B). measure the temperature of the refrigerator. Most are ~40 degrees F.
towel (secured with scotch tape), plastic wrap, and nothing (your control). c. Place each can in a paper lunch bag and label each bag. 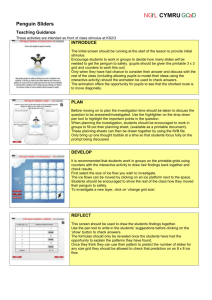 4. Review the slide notes in the Save the Penguins PowerPoint. 1. Have students complete the Heat Transfer Evaluation Pre-Test. discussion using the discussion prompts in the slide notes of the PowerPoint. 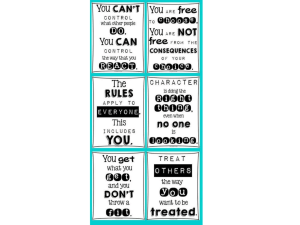 storyboard for teachers and students to see and comment on. Developing an Initial Design and Presenting your Design at the end of the lesson. lunch later that day the soda was warm! What happened? students may hold about heat transfer. 5. Discuss the difference between heat and temperature. students understand heat and temperature and the difference between the two. out the six lunch bags and show students what is inside each bag.  Why do you think your top-ranked material will work the best?  Why do you think your lowest-ranked material will not work? address any misconceptions students may have about heat transfer. Teacher Note: Below is a list of common misconceptions students may hold. will have the opportunity to question the tradition. 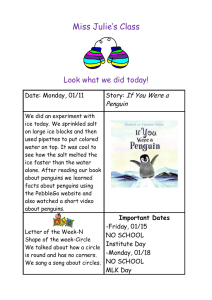 the curriculum when they start testing materials for their penguin dwellings. and record temperatures at different times.  Materials that can decrease the rate of energy transfer are called insulators.  Why is it better to wear wool in the winter than cotton?  Based on our results, which materials can be called insulators? insulators to some extent because they all performed better than the control. great ability to trap air. into or out of a house. prevent the thermal energy from the animals’ bodies from escaping. on their storyboard, and record the definition of insulators on their storyboards. a’int.” What does this really mean?  Some things slow down the rate of heat transfer. Can you name some? what can you wrap it in to keep it cold?  The wool sock… what did it slow down?  Did the wool sock trap “coldness”?  Why did we include a can with no wrapping in the experiment?  Why do people wear wool in the winter, and cotton in the summer?  What does any of this have to do with penguins? 1. Heat transfers in three different ways. 2. Engineers must research and understand the problem in order to solve it. d. Convection happens when fluids (liquids or gases) sink or rise.  Define conduction as the transfer of thermal energy through a solid material.  Define radiation as the transfer of thermal energy through space.  Demonstrate that materials that are light colored or shiny reflect radiation.  Demonstrate that some materials are better at reflecting radiation than others. Heat Conductor: A material that increases the rate of heat transfer. warmer fluid and it rises. Radiation: Radiation is the transfer of energy in the form of electromagnetic waves. Visible light and infrared light are both forms of radiation that transfer heat. that each strip displays room temperature. penguins per group of students for each class. a. Construct a cardboard house with a roof. b. Paint the roof black. c. Cut a flap in the bottom so you can cool the house off quickly. covers all the black paint. ask students, “Which tray is colder?” Accept all answers. students look at the strips and verify that the trays are the same temperature. have kept our soda can cold yesterday? Why or Why not? the same situation and thinking metal is naturally colder. temperature, heat transfers away from your hand; thus, the metal feels cold.  Which spoon feels cooler?  Which spoon do you think will work the best at keeping an ice cube cold? cooler because they believe the spoon to feel colder. minutes. Provide paper toweling for drips.  Which spoon made the ice melt faster?  Why do you think the silver spoon made the ice melt more quickly?  What is causing the ice to melt? point that melts the ice. you would see when heat transfers from your hand to the ice cube?  If heat is not a substance or a fluid, as people used to think, what is it? to another by direct contact.  What do the students represent in this model?  What does this model tell us about the way heat transfers? temperatures in the attic and lower floor. the roof, but do not turn on the light. What is causing the temperature of the roof to increase? Do you feel warm outside when you are wearing black? energy, and transform the light energy into thermal energy. 15. Air out the house (by opening up the bottom and turning the house upside down). Then drape the roof of the cardboard house with a piece of Mylar space blanket. Why did the roof not get as hot after the Mylar was draped on top? If Mylar reflects light, how does that explain why the roof stays cool? Would the results be the same if we draped a white cloth over the roof? cloth should have a similar effect. Try it if you have time! with the space blanket, and ask the student to describe to the class what they felt.  What happened to the light from the lamp? the Mylar space blanket reflected the radiation away, keeping it out of the house.  Why do dark colors get so hot in the sun? Dark cars, parking lots, roofs?  Why do light colors stay cooler in the sun? Light cars, sidewalks, and roofs?  Why do you think this occurred?  How could a homebuilder use this information when building a new home?  How does Earth get its heat?  How does the heat from the sun get to Earth?  Does the Earth reflect radiation from the sun? how radiation was reflected off the Mylar space blanket. 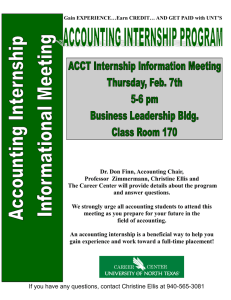 the attic and air inside the first floor on your data table for all students to see. see for three to five minutes. next to it inside through conduction too. is less dense than cooler air. what will happen to the temperature of the attic and the first floor. What happened to the temperature of the attic? The floor? Why did this change in temperature happen? regards to convection. Be sure to address them now. address this misconception, remind the student that heat is not a substance. Explain that while hot air can rise, heat is the transfer of thermal energy. cold itself does not transfer. Energy transfers. Thermal energy transfers. and that convection is the third way heat can transfer. transferred when the house got flipped upside down. because the particles in a warmer fluid are more spread out. (the metal tray or metal spoon). rises because cooler air sinks. Gravity pulls the cooler air down. transfer of energy in the form of electromagnetic radiation. formative assessment (do not “grade” it, but provide feedback). 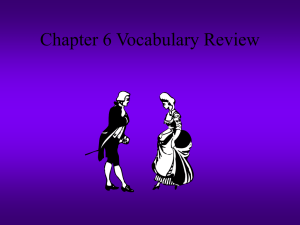 Answer the following questions with words and drawings. determine your students’ current level of understanding. 1. Materials affect the rate of heat transfer. 2. Different materials vary in their ability to reduce heat transfer. different materials or combinations of materials and sharing the results with the class. transfer given the conditions in the hot box. balls and two wood sticks. card onto their storyboard once corrected. 2. Pass out material baggies to each student group. the little igloos sit on it, the heat conducts up into the dwelling. hot box from the cooler room. (or multiple materials simultaneously) as the light shines on the material. Error 1- The sample is not blocking radiation. what is wrong with doing it this way? Error 3- The tabletop has gotten hot and is now also transferring heat. to a room-temperature testing location. cup of room temperature water, but it might spill! Error 5- The thermometers are taking the temperature of the table. underneath the sample, and not the table surface.  Which materials performed better than others?  Why do you think these materials performed better? effective at preventing heat transfer. 2. Different materials prevent different types of heat transfer. the knowledge gained from experiments conducted on the materials. Combine information about different materials to synthesize a unique design. problem, brainstorming solutions, scientific research, design, testing, and re-design. tray, drying overnight, and removing. 1 sample of each material. 1. Photocopy the Engineering Design Process handout. engineers are doing to make the world a better place. 4. Set up at least three experimentation stations, but one for each group is preferable. down on shopping time to have some materials already with each group). 4. Show students the following price chart. them add the list on to their storyboard. Could light get into the igloo and melt the penguin? Can convection currents rise and fall and enter your igloo? How is the heat from the black floor going to transfer into your igloo? What are some ways to slow radiation? convection? conduction? Did you do a test on that material to make sure it works like you want it to? How does one layer of that material compare to two layers? If air is such a good insulator, how can you trap more air? Is it better to have bubbles up or down with bubble wrap? 2. Engineering is an iterative process of designing, testing, re-designing, and retesting. most successful at reducing heat transfer. penguins melt. Or use PowerPoint presentation, Innovative Building Materials. improve their design and save more penguin the second time around is a winner. 1. The day before Lesson 5, prepare penguin ice cubes. cube well (10 -16 ml depending on your particular ice cube tray). side of each cup with a permanent marker (most will have a mass of ~ 2.8 grams). Prepare enough cups for each group to have one cup. Cups can be dried and reused over and over again. lights on and off with one switch. whiteboard and projected for the class to use.  Have students research modern engineered building materials online. lined up with their Dixie cup ready to receive their ice penguin. will be a very tiny morsel of ice. and invite students to quickly retrieve their igloos. by subtracting the mass of the Dixie cup from the total mass recorded. ice remaining in the cup still represent the total mass of penguin saved. 10. Have students record their results on a new square on their storyboard. the greatest amount of ice penguin remaining). suggestions of what could be adjusted to improve performance.  Which design features were most effective at preventing heat transfer?  Why were these design features effective at preventing heat transfer?  Which types of heat transfer were reduced in each design? time permits, ask them to sketch the new, improved design on their storyboard. penguin (an effective igloo design)?  Is there a relationship between the cost of the dwelling and the final mass? between the igloo mass and the final mass of the penguin? redesigned dwellings are in the hot box for re-testing. 1. Allow students 15-20 minutes to make revisions to their designs. 2. Repeat the testing process as before. and recording the results on a chart for discussion. 5. Have students record their final design and results on their storyboard. original test deserves acclaim for being an engineer. to help you plan future units that combine engineering design with science. of the team. 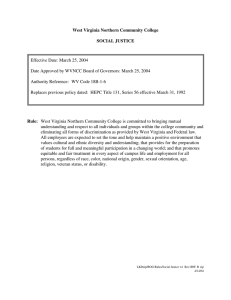 An award template is provided in this STK. Teacher Note: Below is a list of suggested awards.  Effective Design – Awarded to the teams that saved the most penguin. saved at least half of the penguin.  What process did you use to design a solution to a problem?  Why was this unit called “Save the Penguins”?  How does saving energy at home help animals that live so very far away?  What do engineers do that help people and animals?  What constraints did you have when you designed your igloo?  Why was it important to do a re-design? and build the best penguin igloo you could?  Describe three ways heat can transfer. What is the difference between an insulator and a conductor? Why does a silver tray feel colder than a plastic tray? If you sat on a metal bench in the wintertime, what would it feel like? If you sat on a plastic bench in the wintertime, would it feel different? Which materials were best at preventing radiation? Conduction? Which combinations of materials worked best? Why? What was the most interesting part of this unit to you? Suggested sites are provided below. into uniform squares. If you have a quilting ruler and cutting board, 3” x 3” pieces are convenient. If you want each piece to be sized metrically, you can cut the pieces into 10cm x 10cm squares. Store each material in separate one gallon storage bags for easy retrieval. 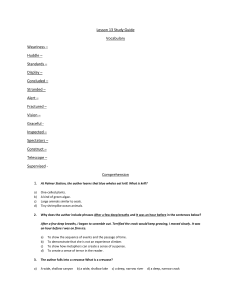  This questionnaire is about your understandings of heat transfer.  For each question, circle the answer that is closest to your understanding.  Be sure to read all the choices before selecting one. colder than the rest of the counter. Which explanation do you think is the best? a. The cold has been transferred from the soda to the counter. b. There is no heat energy left in the counter beneath the can. c. Some heat has been transferred from the counter to the soda. d. The heat beneath the can moves away into other parts of the countertop. water. Which of the following explains the egg’s cooling process? a. Temperature is transferred from the egg to the water. b. Cold moves from the water into the egg. c. Energy is transferred from the water to the egg. d. Energy is transferred from the egg to the water. 3. Why do we wear sweaters in cold weather? a. To keep cold out. c. To reduce heat loss. a. The blankets she uses are probably poor insulators. b. The blankets she uses are probably poor conductors. c. The dolls are made of materials which don’t hold heat well. a. the water absorbs energy from the air in the freezer. b. the water absorbs the coldness from the air in the freezer. c. the freezer air absorbs heat from the water. c. are not as heavy as dark clothes. d. let more air in. too hot to touch. Why? a. Metals conduct heat better than wood. b. Wood conducts heat better than metals. c. Metals pull in heat because heat is attracted to metals. d. Wood isn’t as strong as metals. 8. On a hot day, the upstairs rooms in a house are usually hotter than the downstairs rooms. a. Cool air is less dense than hot air. b. Warm air rises and cool air sinks. c. The upstairs rooms are closer to the sun. work best to keep it cold? b. A paper towel wrapped around the soda because paper soaks up the moisture. c. Wax paper wrapped around the soda because wax paper traps the moisture. d. Your wool sweater wrapped around the soda because wool traps air. hanger might get too hot to hold. Why might the coat hanger get too hot? a. The heat radiates along the coat hanger. atoms near them, which makes the neighboring atoms vibrate too. d. Since metals melt in fire, they react very strongly to fire and get hot easily. a. The plates have the same temperature. b. The plastic plate has a higher temperature. c. The plastic plate has a lower temperature. d. The aluminum plate has a lower temperature. 12. When placed in direct sunlight, which object will absorb the most radiation?